I need to buy a used EHA to diagnose a leaky EHA situation with a 1991 300e. Any difference or will the used one not work? MB part number 000-070-39-62 is equal to Bosch 3 437 010 040 OR Bosch F 026 T03 002. 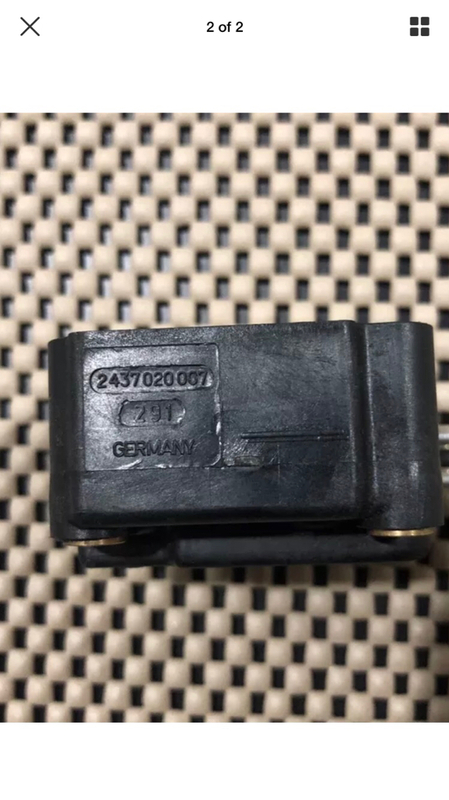 I'm also finding Bosch 2437020007, 11373DH , and W0133-1715115 cross referenced to #3 437 010 040 on parts sites. Is there a cross reference site for bosch part numbers? I wonder if there are any differences between these EHA's used on different models. They appear physically the same. Perhaps different initial calibration to be able to start the car in order to fine tune once running? Following up on some of those numbers led me down a rabbit hole of resellers and non Bosch parts that where only referencing themselves to known Bosch numbers (have to read the fine print). I purchased a Bosch F 026 T03 002 from a reputable source. Those other numbers seemed a little sketchy.